News :: Bicycling Plus School Equals Higher Concentration Levels - Glide Bikes - Balance Bikes for 18 months to 10 years old! It’s no question that it can be tough sitting still and concentrating in a classroom all day. That’s why when there are clear ways to make it easier for kids to perform better and have a more fulfilling experience in school, it’s difficult not to take advantage of the opportunity. Next week, Glide Bikes will be attending the National Association of Elementary School Principals (NAESP) conference in Nashville, TN. During this event,we will be demonstrating the many benefits that a Glide Bike can provide for elementary schools everywhere. According to studies, adults can only concentrate for 45 to 60 minutes at a time without a break and this time is even less for children. Bike riding and other physical activities that take place during P.E. class and recess can have very positive effects on a child's ability to concentrate in the classroom. In fact, based on a 2012 Danish study, there seems to be a strong correlation between physical exercise and performance in the classroom. The study showed that children who walked, or rode their bikes to school had increased concentration and more productive participation for up to four hours after the exercise had occurred. One finding in the study even determined that the effects of exercise surpassed the effects of a healthy diet. 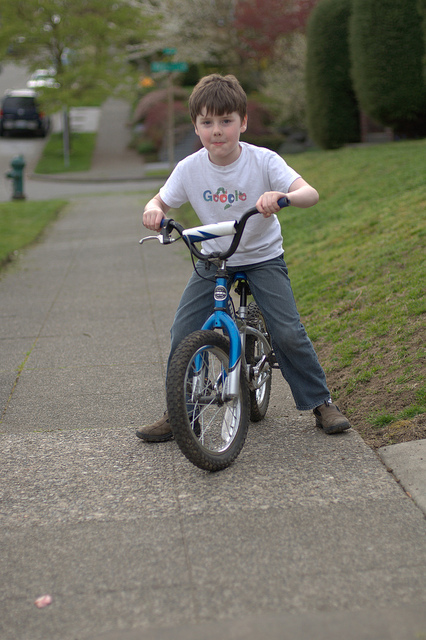 Providing children with the opportunity for cycling creates a better learning experience for the day, in addition to increasing their motor skills, balance, and confidence.